Sociologist Daniel Bell wrote about the demise of revolutionary politics, analyzed economics and lifestyle in a post-industrial society, and coined the phrases "information economy" and "post-industrialism." His 1960 book, The End of Ideology, explained how Marxism, which had once a driving philosophy on the left, had become irrelevant in modern America as the mid-20th century political landscape allowed the social and economic inequalities of capitalism to be more effectively addressed through other means. He later offered insightful critique of modern capitalist society, concluding that the classic economic conditions of the market no longer matter and in some senses no longer even exist. 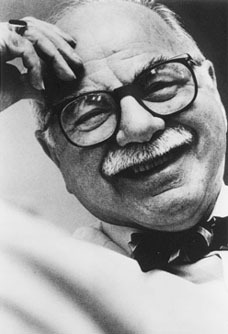 His analysis identified numerous problems of a post-industrial economy, focusing on the clash between technocratic structure and individualist culture, the lack of any "transcendent ethic" or "meaningful purpose" for most people in postmodern societies, and public and private expectations of improvement that would be difficult to sustain in reality. He was a Marxist in youth, later adopting the neoconservatism of the 1970s and '80s, and finally calling for a mixed economy, with both private and public ownership of differing properties and means of production. He became known for his ever-evolving perspectives — his first ideological shift came after writing several hundred pages of a book he hoped would explain his theory of a monopoly capitalist state, when he read through his own writings and decided he no longer agreed with what he called his own "vulgar Marxist framework." In the 1950s he worked with the Congress for Cultural Freedom, which was later revealed to have been (unbeknownst to Bell) a CIA front group, and in 1965 he was co-founder with Irving Kristol of the influential neoconservative magazine The Public Interest. He later described himself as "a socialist in economics, a liberal in politics, and a conservative in culture."